Patierno, at 24 years old, was at the end of his first year at the Graduate School of Biomedical Science, when he decided to attend a highly advertised seminar across the street at Baylor University. He remembers the transformative moment as if it were yesterday. It was 1982. “I went over to this massive lecture hall and up in the front were what we used to call the “starched white coats” with their suits and ties and grey hair all coiffed — the senior physicians and scientists who ran the place,” recalled Patierno, drawing a contrast with his chosen “uniform” of the day — torn jeans, clogs, and a Grateful Dead shirt. Palmiter and his research partner Ralph Brinster, VMD, PhD, Patierno explained, had just produced the first “transgenic” mice expressing cloned human cancer genes. He was inspired. After chatting with Palmiter after the lecture, he walked straight to the department chair’s office and requested to change his focus from to neuro to cancer pharmacology. “He was mad, mad, mad at me,” said Patierno. Three years later he defended his thesis on chemical carcinogenesis and DNA damage, married his girlfriend (a Texas-born cardiology nurse) and left Texas for an NIH-funded postdoctoral fellowship in molecular oncology and carcinogenesis at the University of Southern California (USC) Norris Comprehensive Cancer Center. Two-and-a-half years in, and itching to run his own lab, he accepted a faculty position with the Department of Pharmacology at George Washington University (GWU) in Washington, D.C. They were looking to hire a molecular biologist who could clone genes and study gene regulation. “Back then there just weren’t many of us who knew how do this kind of work," he said. But he also wanted to work on disease-oriented drug discovery, specifically in the context of breast cancer and prostate cancer, so he soon added a cancer biology division to his lab, and grants began to role in. At one point he had nine post-doctoral fellows, seven grad students and “an army” of technicians. In 1995, Patierno was tapped to become head of GWU’s Cancer Research Center, and in 2002, was offered the job of founding executive director of the new GW Cancer Center. Patierno wouldn’t accept the directorship, however, without support for his expansive and expensive vision to address the “shocking health disparities” he’d witnessed in Washington D.C. as a volunteer on weekends ministering to the poor, the homeless, drug addicts and HIV patients. Half the patients walking through the GW Cancer Center doors were from the impoverished quadrants of the city, where there were very few available health services. “Like most cancer centers, we were functioning as an ivory tower, expecting the patients to come to us and not really engaging with them in their communities,” he said. To his surprise, he got the job with the “startup package” for his vision, which included deploying a mammography van, conducting prostate cancer screenings in the community, conducting a neighborhood-by-neighborhood cancer education campaign, encouraging more minorities to participate in clinical trials, and eventually collaborating with the DC city government to turn an NCI-funded patient navigation research program (which connected patients with five major area cancer centers and multiple clinics and advocacy organizations) into a giant cancer safety net for the underserved. Meanwhile, Patierno’s lab had begun to uncover evidence that even after removing the social and structural determinants that contribute to cancer disparities, there was still a mortality difference between African Americans and Caucasians, particularly as it relates to prostate and breast cancer. With supplemental funding from the NCI, he and his collaborator Norman Lee, PhD, began looking into the biological underpinnings — the genomics of cancer disparities — to back up their theory. The early results were intriguing enough for Patierno to turn over his carcinogenesis grants to young faculty he had mentored; steering his entire lab into studying the biology of cancer disparities. 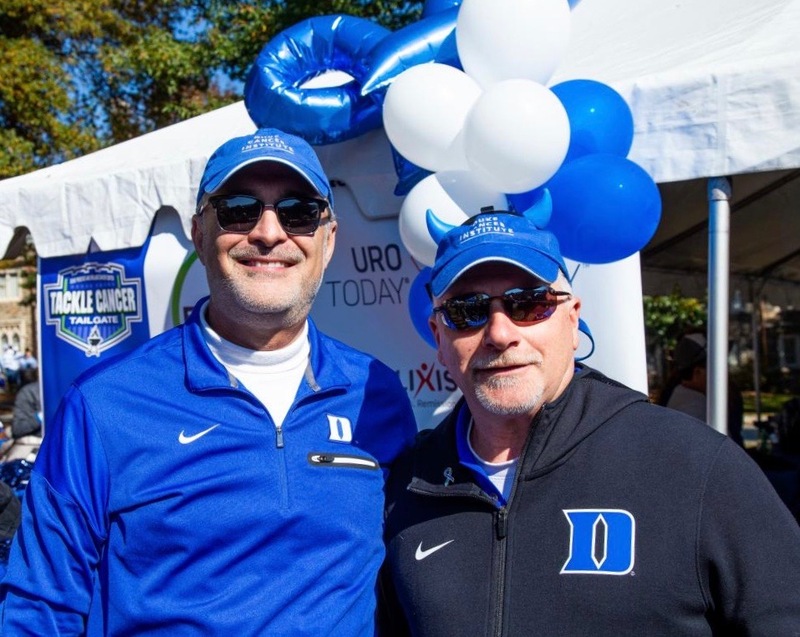 In 2012, after 23 years at GWU, including 10 years as cancer center director, Patierno was recruited to be deputy director of the newly formed Duke Cancer Institute. Patierno said he was drawn to Duke Cancer Institute because of its “powerhouse research,” “the chance to mold and shape a new cancer institute, from the ground up,” and the opportunity to work closely with Michael Kastan, MD, PhD, a molecular biologist and director of St. Jude Children's Research Hospital Cancer Center, a professional colleague who was simultaneously being recruited to Duke. Once at DCI, Kastan and Patierno launched, with Nadine Barrett, PhD, as founding director, the Office of Health Equity (OHE), whose mission it is to reduce cancer disparities and improve population health in the region for African American (25 percent of Duke’s cancer patient population), LatinX, Asian, Native American, Jewish, Muslim, LGBTQ, and rural communities. 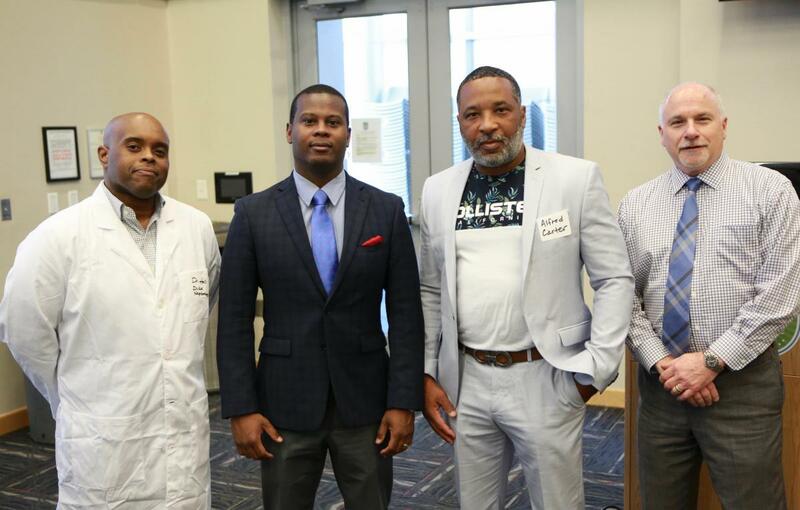 At the end of 2018, they launched DCI’s Just Ask Minority Accrual Pilot Program, six years in the making, that aims to boost minority participation in cancer research by engaging the local community about the benefits of clinical trials. In January 2019, the V Foundation gave the program a $71,000 boost. “The marked lack of diversity in clinical research across the nation is one of the largest challenges that researchers face,” said Patierno. Patierno’s lab at Duke — the nine-person Patierno/George/Freedman Lab — focuses on what he calls the “omics” of cancer disparities, including genomics (DNA), transcriptomics (gene expression at the RNA level), proteomics (gene expression at the protein level), metabolomics (metabolic pathways), and epigenomics (modifications in the genetics of a cell). 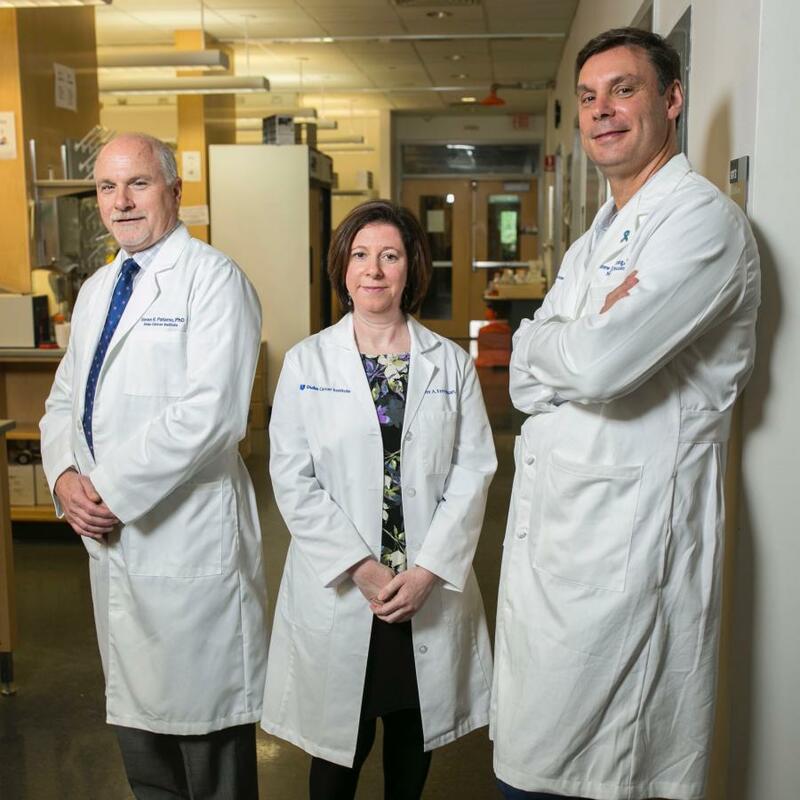 Having started with prostate cancer, the lab’s disparities research has since expanded into breast, lung and liver cancer and attracts millions in research funding, including a recent major Challenge Award from the Prostate Cancer Foundation to translate their lab discoveries into clinical trials. Patierno is also passionate about training URM (under-represented minority) graduate students and postdoctoral fellows, at Duke and with the local Historically Black University, North Carolina Central University. Last year Patierno was honored with an Equity, Diversity and Inclusion (EDI) Award from the Duke Office for Institutional Equity as well as the Duke University and Health System 2018 Diversity Award. Patierno has also taken other initiatives close to his heart and run with them — including laying the groundwork for DCI’s Supportive Care & Survivorship Center and the Center for Onco-Primary Care, both led by Kevin Oeffinger, MD, and founding a cardio-oncology working group. At age 60, Patierno is still energized by the work and inspired by the patients he serves. His Duke Cancer story — the culmination of a life’s work in the field — is far from finished. 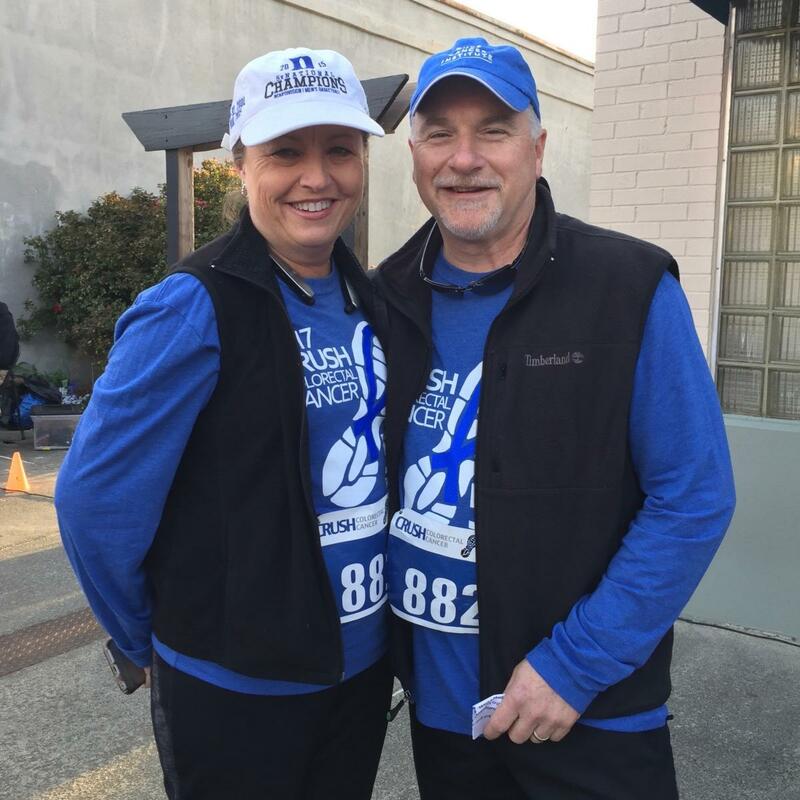 To help make stories like this possible, support Duke Cancer Institute and follow #MyDukeCancerStory on Facebook and Twitter. Interested in sharing your #MyDukeCancerStory? Email dcidevelopment@duke.edu or call 919.385.0039.